River Deli brings the elegant simplicity of the Sardinian culinary tradition to Brooklyn Heights. Opened in 2010, River Deli offers Italian cuisine firmly rooted in the Sardinian tradition, reflecting the island’s incredibly diverse landscape; both the fishing culture of the coast and the shepherds of the mountains. Whether it’s shaved bottarga (a cured mullet fish roe) or lamb ragù served over house-made pasta, Sardinian dishes marry few ingredients, well combined, to highlight the flavors and freshness of each. The story of River Deli began on Sardinia, using the recipes our mothers and our nonna, dating back more than one hundred years. This passion for the simple yet exciting flavors of Sardinia has evolved to incorporate the freshest seafood and seasonal ingredients, balancing tradition and invention. Classic cocktails like the Manhattan or Old Fashioned also get a Sardinian twist with the incorporation of imported Amari, and each meal may be enhanced with a curated selection of Italian wines, not only from the island provinces, but from the South to the north as well. The owners discovered the River Deli, long vacant, nestled on a quiet corner near the water. 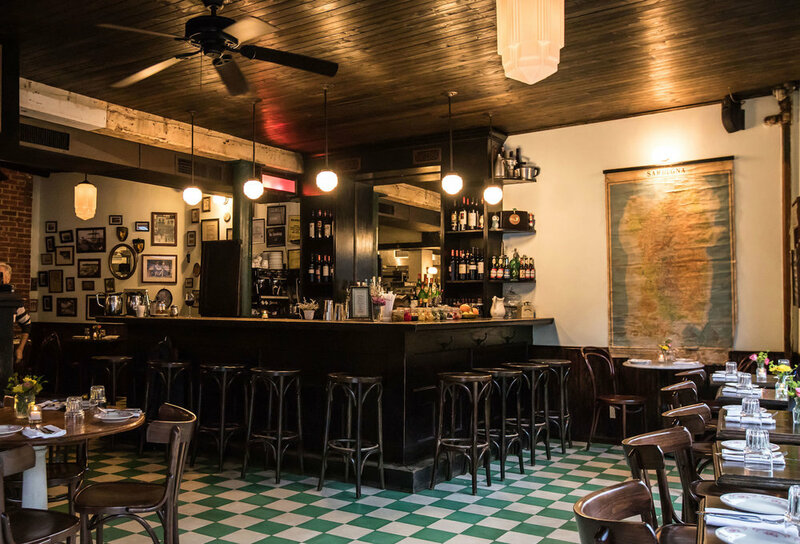 Originally an emporium for goods from the nearby docks, together, they thoughtfully designed and renovated the space themselves, from the table tops, to the bar, to the moldings; creating a cozy yet elegant space that fits amongst the historical architecture of Brooklyn Heights. Even as it transformed and patrons from the neighborhood became regulars, it continued to be referred to as River Deli, so the name and original sign stuck. Since opening, it has become a neighborhood fixture, perfect for sharing an intimate meal, a comforting pasta any night of the week, and celebrating special occasions.